Linda Barnes has written 16 mystery novels, 12 featuring her 6'1" redheaded Boston private eye Carlotta Carlyle, and four featuring actor/detective Michael Spraggue, an amateur sleuth. In addition to best selling mysteries, she has also written award- winning plays and short stories. 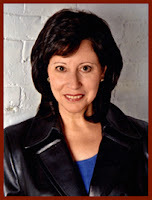 Barnes's celebrated Carlotta Carlyle first appeared in 1985 with the award-winning short story “Lucky Penny.” Since then, Barnes has written ten Carlotta Carlyle mystery novels: A Trouble of Fools (1987), The Snake Tattoo (1989), the Boston Globe bestsellers Coyote (1991) and Steel Guitar (1993), Snapshot (1994), Hardware (1995) and Cold Case (1997), which also appeared on The Boston Globe bestseller list. Flashpoint came out in 1999. The Big Dig was published in 2002, followed by Deep Pockets in 2004, Heart of the World (2006), and Lie Down with the Devil (2008). Among her many honors, Barnes won the Anthony Award and nominations for both the Shamus Award and the American Mystery Award for Best Short Story for "Lucky Penny" in 1985. In 1987 she received the American Mystery Award for Best Private Eye Novel and nominations for the Edgar, "Anthony, and Shamus awards for A Trouble of Fools. The Snake Tattoo was named one of the outstanding books of 1990 by The London Times.